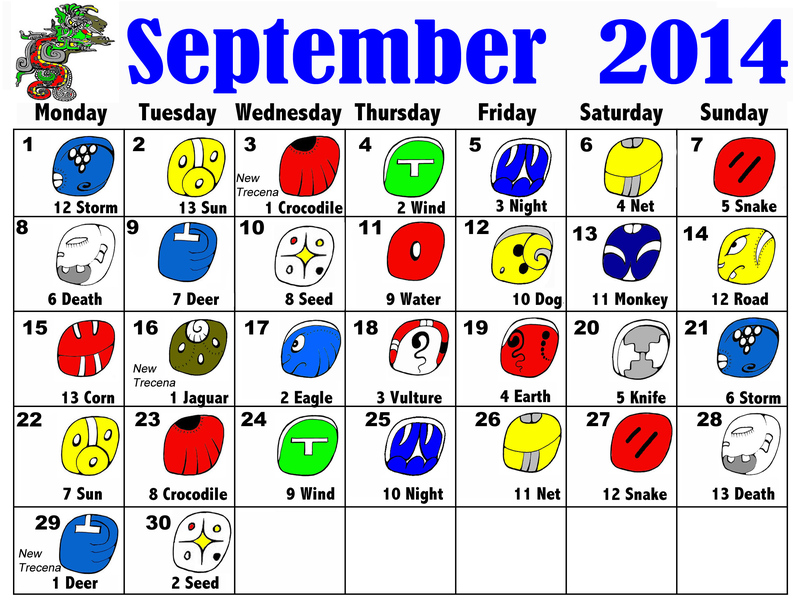 Find the Mayan day sign for every day in September 2014 with the interactive #Mayan calendar. The interactive Mayan calendar for September 2014 is now online. Click on any date to learn the Mayan nahual of the day and its meaning. It’s a three-trecena month in September. Find out how to apply Mayan astrology to you daily life with this interactive calendar at the link below. Find it at Monthly Mayan Calendar. ← Today’s Mayan Day Sign, 5 Road, was a key date for the Maya of #Tonina, Chiapas.